The Dark Weather XL cover is especially designed for the RTI PIKO RGB 18 & 22 units: It perfectly fits on their mounting bracket and still allows proper ventilation. 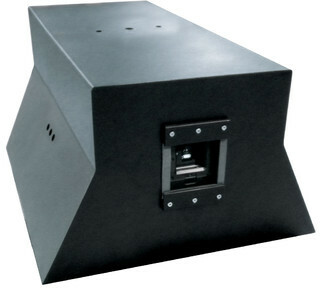 The RTI Dark Weather is mounted to the mountig bracket of the RTI PIKO RGB 18 units. The protection cover is equipped with a special front glass, like at the PIKO unit itself. This prevents burns in the glass even with high powered PIKO units.